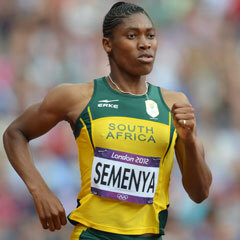 Semenya has been installed as the favourite for the women's 800m final, to be run on Saturday at 21:00 SA time. Semenya, the world champion from Berlin in 2009, can be backed at 8/11, with Russia's Mariya Savinova (10/3) and Kenya's Pamela Jelimo (4/1) expected to be her main challengers. Semenya, 21, posted a season's best time in Thursday's semi-finals, winning her heat in a time of 1:57.67. To date, South Africa have won 3 golds, one silver and one bronze medal, and lie 21st in the overall medal table.